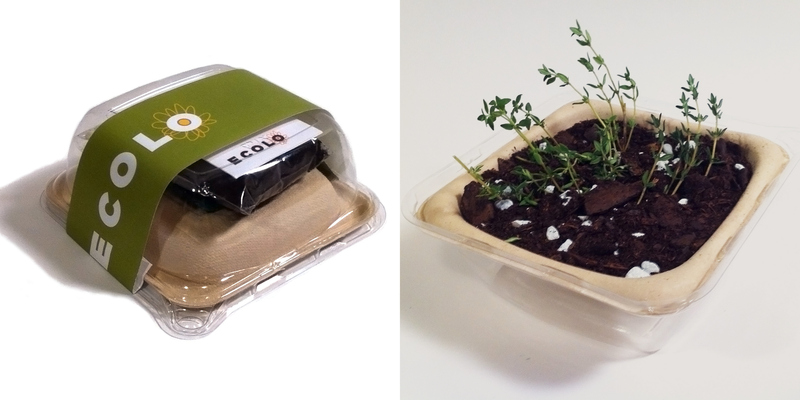 ECOLO is modular system of do-it-yourself kits for growing herbs and small plants. ECOLO is modular system of do-it-yourself kits for growing herbs and small plants. 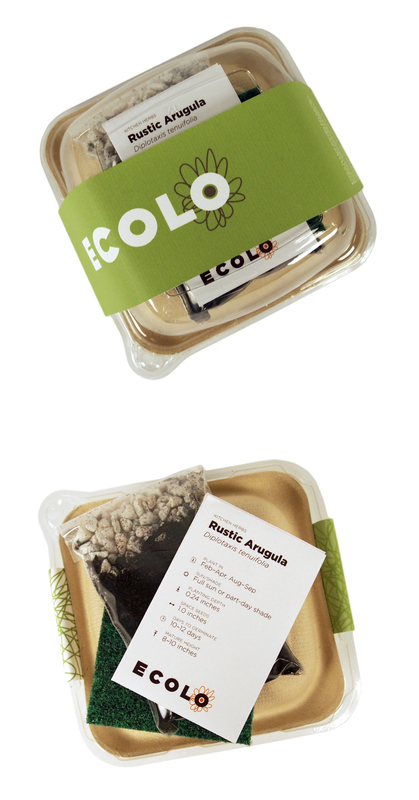 Intended to be a learning supplement for primary and middle school-aged children, ECOLO facilitates systemic thinking, fosters sustainability, and teaches children to grow and care for their own plants. ECOLO is targeted towards children ages 9 through 13. The simple, sophisticated packaging is designed to attract the attention of both child and parent. Individual packages include: a cardboard base and plastic cover; absorbent lining; a pouch of pebbles and soil; and one envelope of seeds.